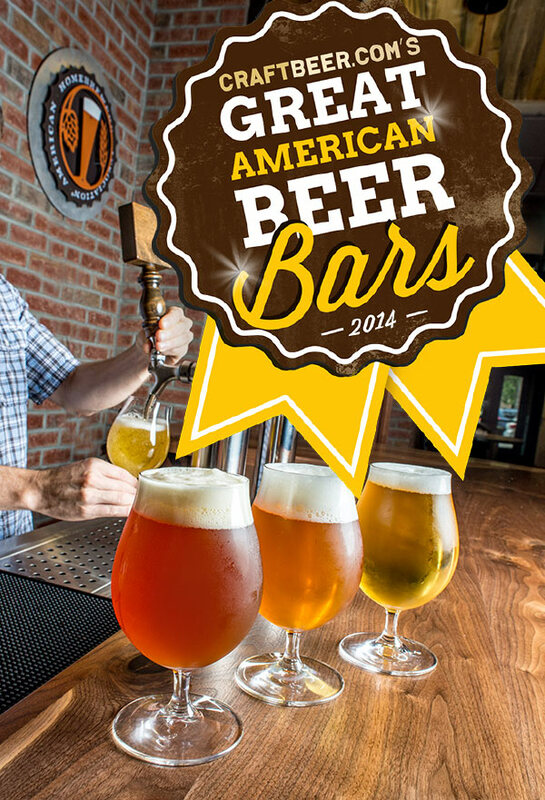 This year we’ve switched up the Great American Beer Bars competition a bit! We’re currently accepting votes to name the best beer bar in every state. Vote now! 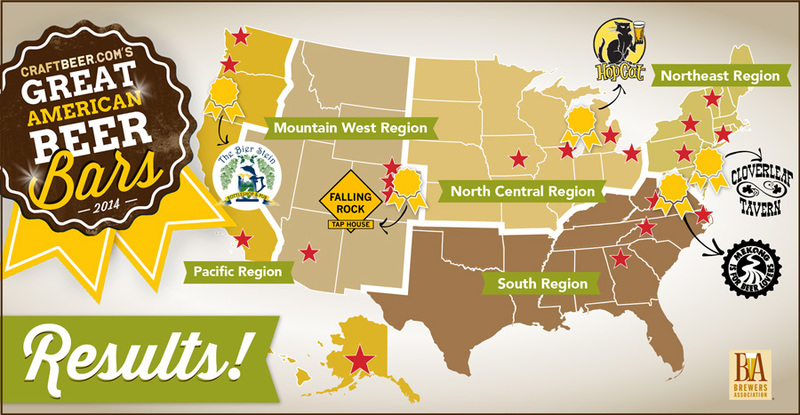 Boulder, CO • September 15, 2014—Now more than ever, bars across the U.S. showcase the wide array of offerings from the more than 3,000 breweries in operation throughout the country today. To help navigate the nation for some of the best places to imbibe, CraftBeer.com—the Brewers Association (BA) website for beer lovers—surveyed its audience for its annual list of Great American Beer Bars. Download a high res PDF version of this map. Specializing in draft beers from more accessible craft selections to the high-IBU palate smashers, to the exotic rarities from across the globe, Colorado’s Falling Rock is the epicenter of craft beer all year long and especially during the annual Great American Beer Festival®. Methodology: CraftBeer.com asked readers to help choose the winners for the annual Great American Beer Bars List. Readers were asked to nominate their favorite craft beer bars in the country; one bar from each of the five designated regions. Craft beer fans cast more than 3,400 nominations, which were narrowed down to the 10 most-nominated bars in each of these five regions. Over 19,000 votes were cast in total. Voting was conducted from August 15 to September 5. The Brewers Association is the not-for-profit trade association dedicated to small and independent American brewers, their beers and the community of brewing enthusiasts. The Brewers Association (BA) represents more than 70 percent of the brewing industry, and its members make more than 99 percent of the beer brewed in the U.S. The BA organizes events including the World Beer Cup®, Great American Beer Festival®, Craft Brewers Conference & BrewExpo America®, SAVOR℠: An American Craft Beer & Food Experience and American Craft Beer Week®. The BA publishes The New Brewer magazine and its Brewers Publications division is the largest publisher of contemporary and relevant brewing literature for today’s craft brewers and homebrewers. Beer lovers are invited to learn more about the dynamic world of craft beer at CraftBeer.com and about homebrewing via the BA’s American Homebrewers Association. Follow us on Twitter.